In the United States, you see people using their iPhone’s virtually everywhere, but there are many more Android devices being used. They are harder to detect because they come in so many different shapes and sizes. 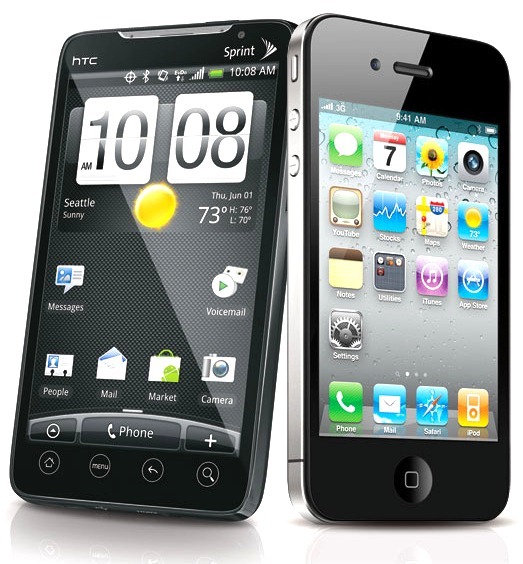 Both companies are growing in size and revenue, brining out new and exciting new devices each year. They also share a social war of sorts, with Apple Fanboys Vs. Android Fanboys dishing out the pros and cons of each other’s devices. A recent report by Reuters, an international news agency, follows the progress in numbers by both companies. As each company tries to secure their stronghold in each country, they are met with many obstacles including determining a price for their products. Google’s Android platform is the clear winner in the smartphone industry. The free Android operating system is found everywhere from mobile phones to tablets. Although Apple is behind, they too have accomplished a great deal with their products flying off the shelves – but not everywhere. Apple’s market share in the 12 weeks to end-November rose to 36 percent in the United States from 25 percent a year earlier and in Britain to 31 percent from 21 percent. However, in France its share slipped to 20 percent from 29 percent and in Germany to 22 percent from 27 percent. Similar drops were seen in Italy and Spain. Why is Apple struggling to keep up? Is the Apple iOS losing its edge? The answer seems to be simpler than that. It’s price. Apple devices are not inexpensive devices. Much of the continental Europe is currently facing economic difficulties paired with fierce competition. Job losses are causing each home to re-evaluate their spending budget and in turn, companies are importing and exporting a lot less. Google on the other hand is thriving. With their inexpensive gadgets, Reuters points out the search giant’s Android platform has achieved a 61 percent share of smartphone sales in the latest 12 weeks in Germany alone. With Apple being as successful as they are in other parts of the world, I don’t see them decreasing the current price range of their current product lineup. Lowering price may even cause a backlash in other countries. For now, they will have no choice but to accept second place.